Suggested by iKnowledge Yugi has a lot of monsters at his disposal. For the most part the majority of them aren’t all that impressive, but obtaining the God Cards definitely changes that considerably. His Dark Magician also has some powered up forms which helps a bit. 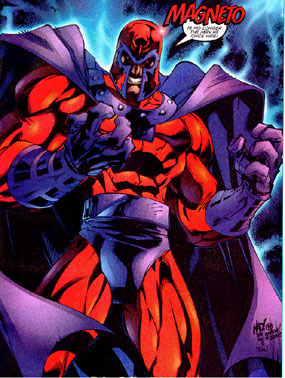 Magneto could likely handle most of Yugi’s monsters one on one, but he would be up against a full army and would eventually be overwhelmed. Yugi wins. This entry was posted in Battles, Magneto Battles, Yugi Battles and tagged Magneto, Yugi by dreager1. Bookmark the permalink. I still think Eric/Magnus could take this. He’s one of Marvel’s most cunning strategists, even if Yugi is no slow-wit. His powers could also give Yugi trouble. With this, Magneto could send Yugi to the Sea of Tranquility (on the Moon): https://static.comicvine.com/uploads/original/11113/111130700/4742126-4198596123-17098.jpg. We’ve all seen Magneto lifting up a stadium that looks to be a cousin of Connie Mack’s Stadium, what’s to stop him from crushing Yugi with the combined weight of the metals and the concrete? The puzzle may protect Yugi from burned, as a host body, but can he survive Magneto’s using the Iron in our blood against him? : https://nerdist.com/magneto-iron-blood-science-magnets/, and https://forums.spacebattles.com/threads/magneto-and-the-amount-of-metal-in-the-human-body.422171/ (see attached pictures). Also, Magneto could make the Duel Disk shock Yugi by manipulating the metals and rare earths in the Disk itself. Let me know what this site thinks. 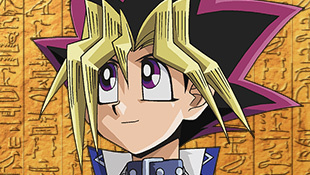 Magneto is very smart, but stopping Yugi will be especially difficult. Yugi has his monster hybid form from Capsule Monsters which should make it tough for Magneto to try and manipulate him. Magneto will also be having a lot of trouble just dealing with Yugi’s monsters the whole time as well so focusing long enough to pull at his iron will take a while. The Duel Disc could be tricky, but as it runs on principles that nobody really understands it would be tough for Magneto to force it into shock mode. He would also have to watch out for Trap Cards activating when attempting such a feat. I think that he may just be in over his head here. Keep in mind that all of Yugi’s monsters are summoned onto the field at once thanks to the composite rules on the blog. As such he would not be alone at any point in the match. Thanks. I still Yugi would have an uphill struggle, though. You probably know that it’s my Birthday in July. If you could complete one or two of my suggested battles, then that would make me happy. But if you take your time, I understand. , and Haruhi Suzumiya vs the Joker.